As owner of Positive Cattitudes, Jacqueline Munera coaches human clients on how to live in harmony with their cats and dogs, while encouraging people to push the boundaries of what they think cats are capable of. She is an IAABC Certified Cat Behavior Consultant and is co-instructor of the Companion Animal Sciences Institute’s Diploma of Feline Behavior program. She has a B.A. in Honors Biological Psychology from New College of Florida, where she pursued studies on animal cognition and behavior, and finished her thesis work on coat color as an indicator of cat personality. 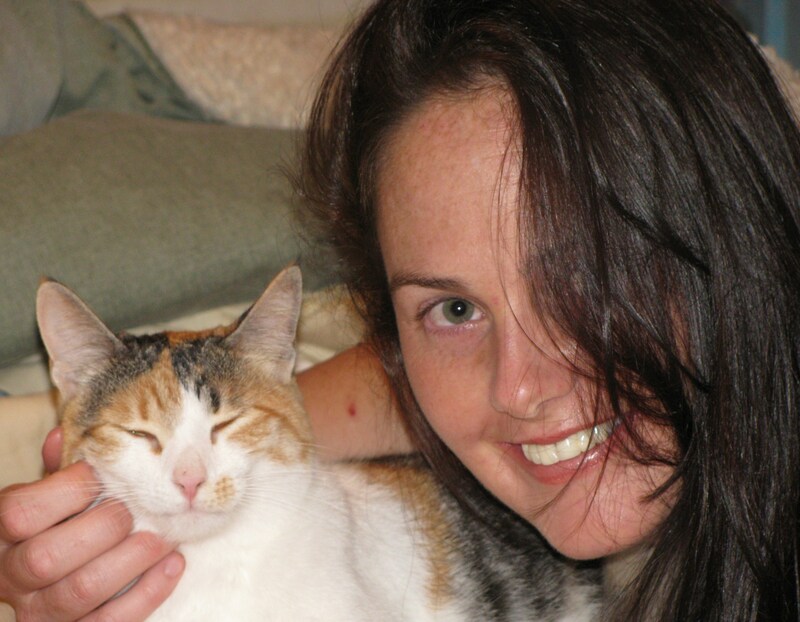 Jacqueline presents nationally and internationally on a variety of cat training and behavior topics and has published multiple cat related articles. She is especially interested in helping cats in shelter organizations and has helped multiple shelters design and implement cat behavior and training programs. Her own adopted rescue cat, Jazzmanda, is the first feline Delta Society Pet Partner registered in the Tampa Bay area. Jacqueline and Jazzmanda are also the first human-cat team in the world to pass level 2 of Kay Laurence’s challenging test of clicker training skills, the Competency Assessment Programme (CAP). Another of Jacqueline’s rescue cats, Pedro, starred in the clicker training video Ankle Attack, the winner of the 2007 Karen Pryor Canis Film Festival’s feline division. A second feline clicker training video, Cat Burger-lar, was a finalist in the 2009 film festival.